Although aging is inexorable, aging well is not. 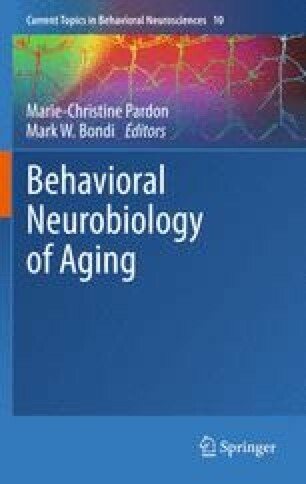 From the perspective of research in rats and complementary models, reproductive experience has significant effects; indeed, benefits, which include better-than-average cognitive skills, a slowing of the slope of decline, and a healthier brain and/or nervous system well later into life. Work from our lab and others has suggested that the events of pregnancy and parturition, collectively referred to as reproductive experience—an amalgam of hormone exposure, sensory stimulation, and offspring behavioral experience and interaction—may summate to flatten the degree of decline normally associated with aging. Mimicking the effects of an enriched environment, reproductive experience has been shown to: enhance/protect cognition and decrease anxiety well out to two-plus years; result in fewer hippocampal deposits of the Alzheimer’s disease herald, amyloid precursor protein (APP); and, in general, lead to a healthier biology. Based on a suite of recent work in organisms as diverse as nematodes, flies, and mammals, the ubiquitous hormone insulin and its large family of related substances and receptors may play a major role in mediating some of the effects of RE on the parameters of aging studied thus far. We will discuss the current set of data that suggest mechanisms for successful biological and neurobiological aging, and the implications for understanding aging and senescence in their broadest terms.